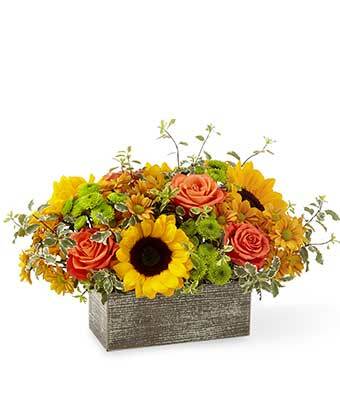 Embrace a special time of year with The Autumn Garden Bouquet Basket. This unique floral arrangement proudly boasts classic seasonal coloring in an aesthetically pleasing planter. Send a special friend or family smiles today!